If you cast your mind back to March, we reported that Sony would launch some products to wirelessly charge the Xperia Z2 during the summer. This included the Sony WCR12 Wireless Charging Cover and Sony WCH10 Wireless Charging Plate. Well the latter of these two accessories, the WCH10 Wireless Charger (FCC ID: PY7-AC0010) has just passed through the FCC. The FCC documents confirm that Sony is using the Qi inductive power standard and in some of the tests it used a Nokia 920 to see how well it worked. The device is listed as having an input of 12V ~1A, but no further information could be gleaned from the documents. 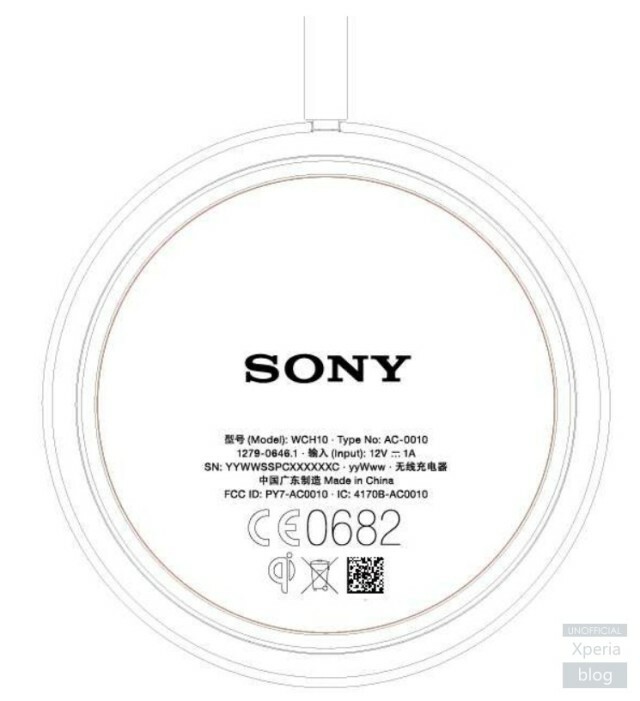 The charger and wireless Xperia Z2 cover are rumoured to launch in June 2014. New Nozomi pic surfaces; to be called Xperia Cloud? Sony’s ‘Togari L4’ phablet to come with stylus support?